It depends partly on the size of your room. My room is 12x28, a 7 ft ceiling that rises to 10ft and down again, an open arch, small alcove at one end and a fire place and chimney wall in the center, and lots of windows, so I know not ideal, and roughly 3000cft. Although the arch I think actually helps, it cuts down on reflections and offers an escape. I had to really work on getting resonants down with placement and room treatments, I am planning to build my own absorbers and diffusers to experiment some more in that area (I even built 6" risers for the LS, they came out really nice and solid, but didn't improve the sound at all). I would agree with your watts suggestion, obviously LS are very efficient, I don't need a huge amount of bass and I listen to a volume equivalent of a live performance. That's a nice size room which must really present some challenges. About using tube equipment. It douesn't have to be expensive but there is a real range between inexpensive an cheap/low quality. Currently I have all vacuum tube (pre)amps. However, the Nelson Pass ACA Class A mosfet amps have me interested. I would never own a Class D amp. I am not interested in avoiding the generation of heat, or reducing power consumption. All of my tube based equipment pales in comparison to the current drawn from the oven in the kitchen. Thanks. Absorbers appear easy to build and these type of diffusers, I think, would be most doable diy (mountain range type with planks) as compared to wood cubes of various sizes, which look amazing. I read an article of someone who build these using 1/4 plywood but then recommended to use 1/2 since the 1/4 would warp, then it gets heavier too. ...as﻿ com﻿pa﻿red to ﻿wood cubes of various sizes, which look﻿ a﻿m﻿a﻿﻿﻿﻿﻿﻿﻿zing﻿. I have a qrd calculator to design those but they will weigh a lot. Found a place that sells large pieces ol quality balsa but that also gets expensive. The answer is whether solid state or tube sounds best to "your" ears in your room with your gear. What's better vanilla or chocolate? I guess it depends on taste. I use tubes on my AMT, midrange and solid state on my auggies (woofers). What you are doing is exactly what Saul Marantz himself told me when I met him (when I was still a kid). Way to go. What I would have given to have met Saul Marantz. What a legend Saul is. I still have my 10B tube tuner. It was at a Rogers Stereo show at Cobo hall in Detroit 1976 or so. I also met Gene Czerwinski of Czerwin Vega fame, he had the most powerful sound at the show. He even had a subwoofer plugged directly into an AC outlet, which scared a few people, including me. Irving Fried of Fried Loudspeakers, Bob Moers, then Klipsch President (at their dealer, where he showed me photos of the MCM Prototype), Mr. Snell of Snell loudspeakers, and a host of other "characters" at that time. Historical time, luck, circumstance, and perseverance were all at play. Although I did make a special trip to Hope in 1985 for a plant tour by Woody Jackson. After a brief meeting, PWK himself spent the entire day from 10-7 with my wife and I. THAT was the greatest audio day of my life!!! Never say never. Your statement is an emotional one, not a technical one. Interesting you would say that about Class D..............the reason that I'm now using Hypex (the very best for the money) and others is that it's the only amplifier that had the delicate and micro detailed sound Quality of my First Watt Aleph J Class A, did not masquerade as a space heater, and had 13 db more output than the Amazing Pass Design (400 watts/4ohms vs. only 25). To each their own I guess. 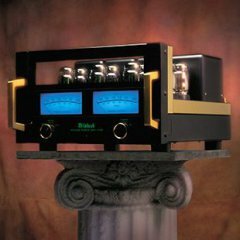 My best friend and fellow audiophile has an Audio Research Class D amp that costs $10,000 for a pair of monoblocs. I can't hear the difference between them and my Hypexes for 1/8th the price. Also, the very best all horn setup I ever heard were the Sadurni Horns at Axpona, Chicago, about 4 years ago. Norah Jones literally brought tears to my eyes on that system, and they were using Hypex amps.............all class D.
Never say never. Your statement is an emotional one, not a technical one. Not really. All the advantages of a class D amp are more efficiency and less heat generated. Those are not features I am interested in. Also nothing about Class D is inherently better at music reproduction. My data and ears, as well of many audio friends say you are mistaken. The features you speak of are a bonus, and not a requirement for home use. control loop taking feedback only at the speaker output........"Neither dirt nor fairy dust." Basically, I"m hearing things in my best recordings I never knew were there before. Micro nuances with explosive dynamics. But hey, it's all in your personal belief system anyway. But like PWK used to say about Packard Automobile ads, borrowed for his Khorns: "Ask the man who owns one." And in my case, owned them all. At least an example of each type anyhow, and if not owned I have heard them all over the years. This is a very general statement but the best sounding guitar amps are tubes. There's something very organic and dynamic about the sound and I hear the same thing with tube based stereo. I also agree, which IS why the solid state portion of my system is class D. Not only is clarity/sharpness a characteristic, transients are unmatched. I've got to say that my current system has Hypex-origined power (UcD 180 boards) and I concur with what has been stated. The sound quality is as good or better than anything I've ever owned (next best would be late '70s HK "twin powered" gear). And that guitar amps are best tubed. Tubes are more graceful when over-driven and are especially rich in harmonic content which especially suits the unnatural coloration/production of sounds so prized by electric guitar players. Truer words were never spoken here. To the first part YOU are not interested in that aspect is a personal bias, while others are interested in the additional bonus. As to your second comment: and to that I say............................Bovine Sediment, Balderdash, BS..................etc. On midrange and treble for Stereo, yes, especially single SET. On bass, SS rules. Hypex Class D SS replaces them both. I'm not an engineer by any means, but this old article made sense to me.